Do you like Knightality? Share it with your friends. Knightality is a great fighting flash game in which it will be your task to try as a mighty knight to save the princess he has kidnapped the evil dragon. 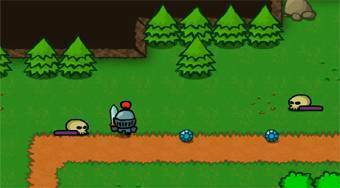 Move around the playing area, collect diamonds, keys from the door and kill various monsters and monsters. You have five lives in total.